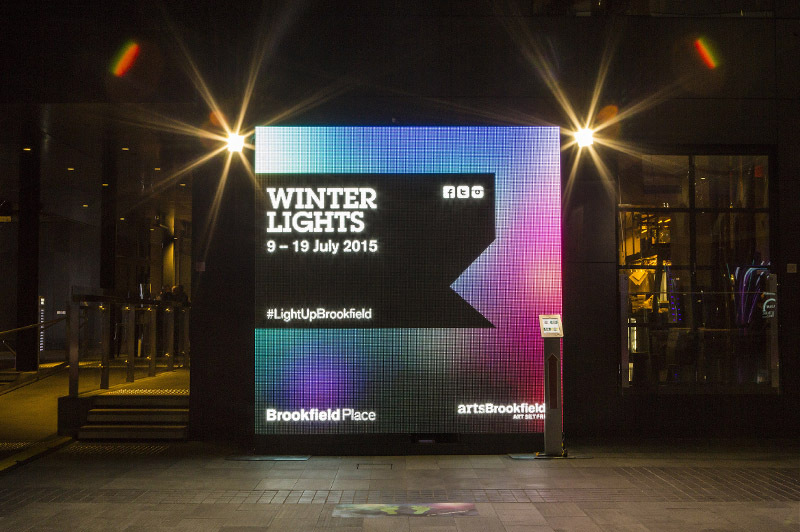 Create a stunning winter light show for the entire family, projected across Brookfield Place’s beautiful heritage buildings, for the fourth incarnation of the festival. 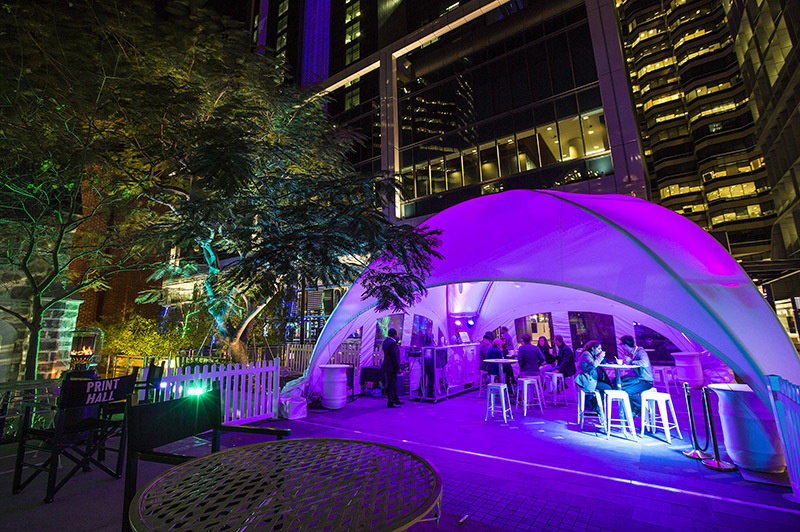 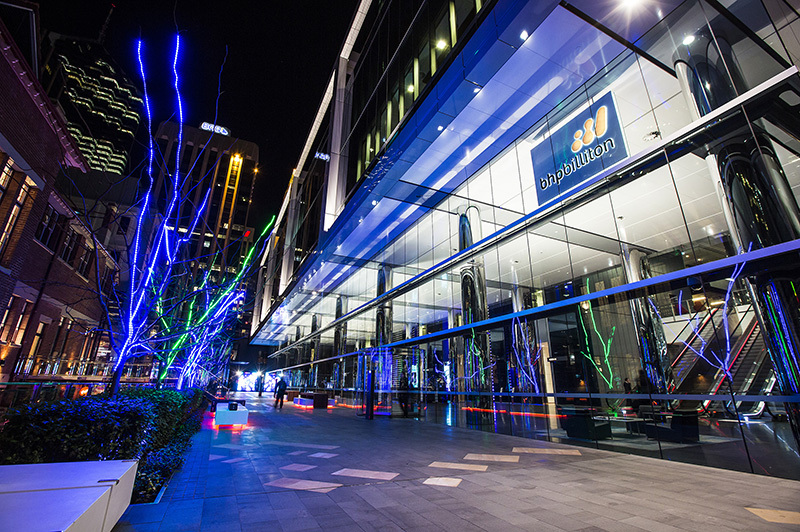 We incorporated the historic buildings located along Perth’s St Georges Terrace into our design, which also featured custom multimedia, LED information panels, pop-up events spaces and brilliant lighting sculptures. 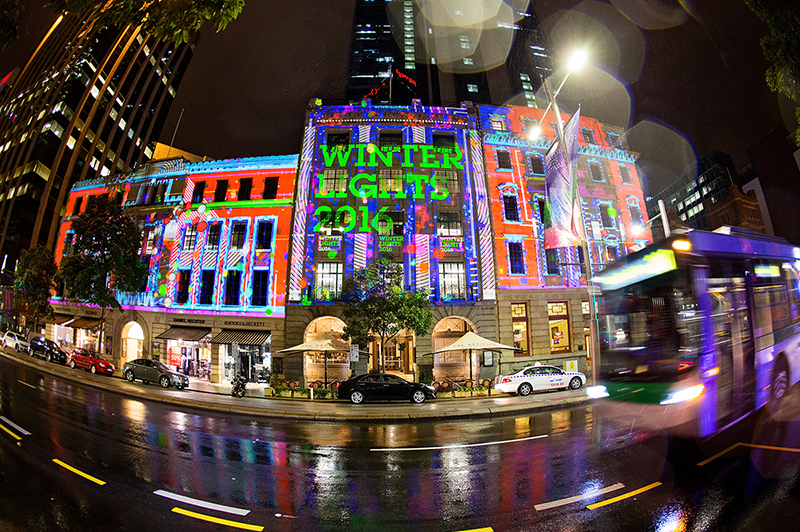 Neon themed projections featuring colourful vibrant 3D animations, kaleidoscopic interactive displays, and custom light-based artwork created by leading artists were enjoyed by young and old alike, bringing warmth and cheer to Perth city during the cold winter months. 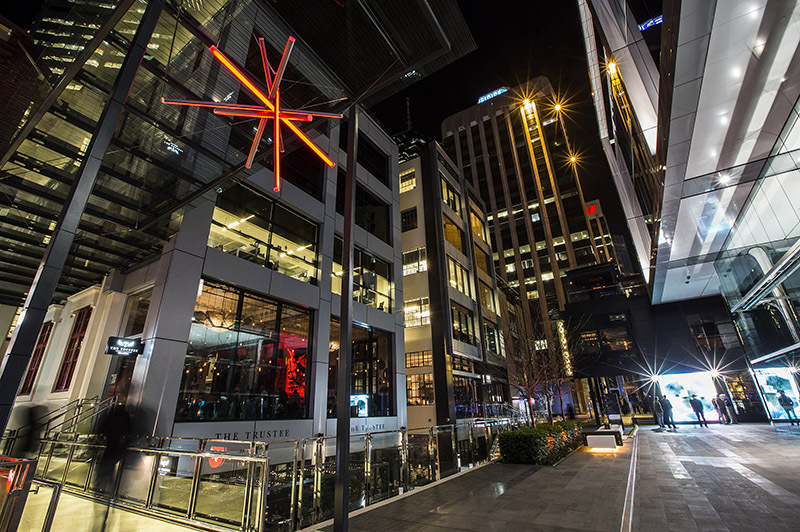 Footfall during a normally quiet time in the city was increased substantially to the benefit of surrounding businesses.